In the fast paced, super stressed world that we live in, we need some quick solutions in order to deal with stress. Take a deep breath – stop holding your breath. Yes, we really spend ages not breathing properly. Wow, the last two days have been so filled with negativity at work (and that is not the clients I’m talking about – I expect depressed people to be negative). And then today, both of my kids came home moaning about negative teachers and unfair friends. Add to that the general feeling of negativity in the country and the community at the moment with all the load shedding that we are dealing with. 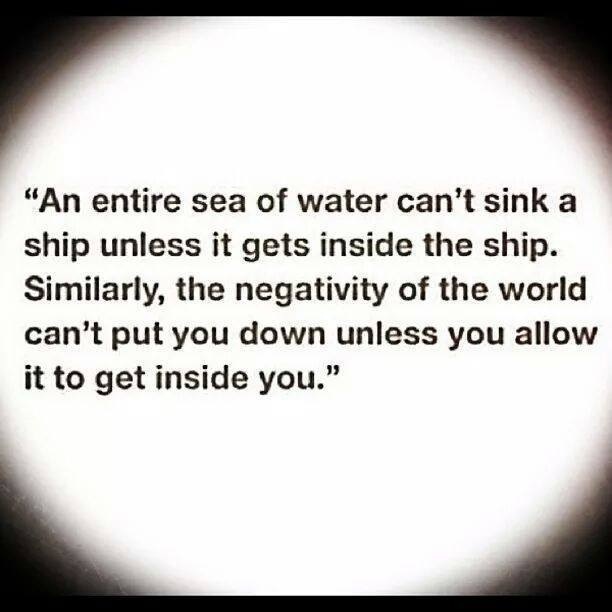 So it seems that we are all drowning in negativity. It doesn’t matter how much negativity is around you, it is your choice to let that negativity in. And you choose to allow it to get you down. Or, you choose to rise above the negativity. In which case, you have two choices here – either you can care less (but don’t allow yourself to get stressed by doing so) or you can continue to be positive and hard working and true to yourself and not allow the negative influences around you to affect your amazing self. I know that you are worth a lot more than the negative feedback or the negative attitude that you are getting. Just believe in you! I went to an amazing conference last weekend and one of the things that really struck me about the people that I met and the speakers that I heard was that so many of those people live a multidimensional life. By that I mean that there are people who really don’t have defined careers. They are qualified in one thing, work in something else and then still do another thing in their “spare time”. Sometimes, they do far more than that. And that is on top of the usual multidimensional life that they are already living by working, being family members, belonging to a certain group or culture and somehow fitting into the world. The more I think about this idea of being multidimensional, and of how much I do in my life, the more it sits well with me. We spend so much time and energy trying to fit in and trying to justify that what we are doing is right. We would all be so much happier if we just allowed ourselves to really do what makes us happy. Rather than trying to fit in, or live according to other’s expectations of us. Do what you want to do, create more opportunities to do the things that fulfill you and make you happy. You may think that you don’t have the time to do these things but you will find yourself so much more energised in your life when you are happy doing things that you want to do. You don’t need as much sleep as you think you do (6-8 hours is plenty for an adult), you don’t need to watch as much television as you think you do, you don’t need to waste time just staring out of the window wishing that your life would be better. Today is a holiday and I had told myself that no matter what, I was not going to work today. That plan didn’t last very long because there was suddenly an emergency HIV intervention that I had to do, and then I thought that if I had to go to work, I might as well actually work. I started my drive to work on unusually quiet streets having a good old moan that the streets being so quiet meant that I had to have been one of the only people in the entire city who was working. Then I started to appreciate the quieter drive and I turned up the music (George Winston) and smiled. Aren’t I almost exactly in the middle of my 100 happy days project? So, of course it wasn’t great to have to work on a holiday and I would have really enjoyed a lie-in this morning. But the roads were peaceful; the patients who thought that they were not going to see me for 3 days were grateful that I was there and the real bonus was that I didn’t have to do all the house work! When I signed up for the 100 happy days project, they said that if you committed to the project, you would start to see things more positively and would therefore be more positive about life in general. I definitely think it is. Even if I have to sometimes force myself to look beyond the stress just because I am thinking about what I am going to enter into my happy days journal. It makes you truly grateful for what you have rather than just yearning for what you want. And today, if nothing else, I was truly grateful to have a job to go to, even on a holiday, that keeps me happy and fulfilled. Start opening your eyes to the immense about of happy things happening all around you – it is really worth it! Which wolf would you choose? Absolute bliss! And I deserve it! There is a story that has been doing the email and Facebook rounds that the tells the story about a discussion between an old Cherokee and his grandson. He said, “My son, there is a battle between two wolves that goes on inside of all of us. One is evil, it is anger, envy, jealousy, sorrow, regret, greed, arrogance, self pity, guilt, resentment, inferiority, lies, false pride, superiority and ego. It is such a lovely story that happens to be so true and so relevant to the lives that we lead in this busy, hectic, crazy world of ours. You always have a choice between the negative and the positive. I could choose to be irritable about having to sit in the car waiting for my son to finish his drum lessons or I can choose to use this time for my own peaceful, happy and quiet (kid free) time (and to write this of course). I am not saying that people with depression can choose to be positive when they are not well. That is a really difficult thing to do. But I am saying that most people who are stressed (and I know that you don’t want to be stressed because you are reading this) tend to choose the negative option. We get stuck in the negativity and always expect the worst. The problem is that if you have a negative attitude, you tend to only notice the negative. You tend to let the small stuff get you down and you quickly become overwhelmed by your life and all of your responsibilities. Yet, if you choose to focus on positivity, you start noticing the good around you. You feel more able to cope and find life more enjoyable because you create enjoyable moments. Try not to feed the negative wolf. I know that you can make that choice, because your life is worth so much more than entertaining that negative wolf!